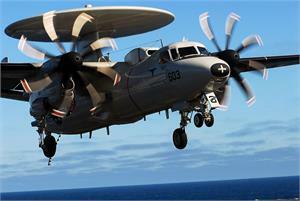 The Northrop Grumman E-2 Hawkeye is an American all-weather, carrier-capable tactical airborne early warning (AEW) aircraft. It was designed and developed during the late 1950s and early 1960s by the Grumman Aircraft Company for the United States Navy. The aircraft's performance has been upgraded with the E-2B, and E-2C versions, where most of the changes were made to theradar and radio communications due to advances in electronic integrated circuits and other electronics. 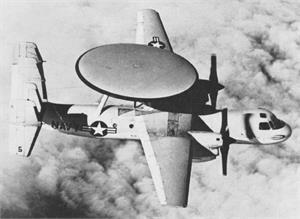 The fourth version of the Hawkeye is the E-2D. Variants of the Hawkeye have been in continuous production since 1960, giving it the longest production run of any carrier-based aircraft. In addition to U.S. Navy service, smaller numbers of E-2s have been sold to the armed forces of Egypt, France, Israel, Japan, Mexico, Singapore and Taiwan. Maxford USA E-2C Hawkeye is 71" wingspan which is about 1/14 scale. 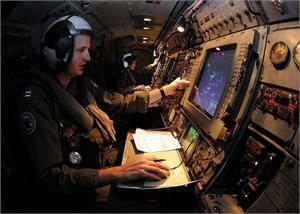 It is based on a full scale E-2C, US Navy BuNo. 16581AA 600 of VAW-125 'Tigertails' assigned to LCdr. Mike Neuser 'Noid', embarked aboard USS John F Kennedy, 2003. 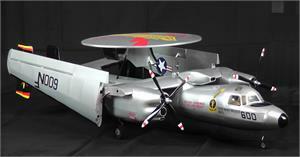 The wing can be folded back as the full scale E2 and lock on the horizontal stab for easy transportation. 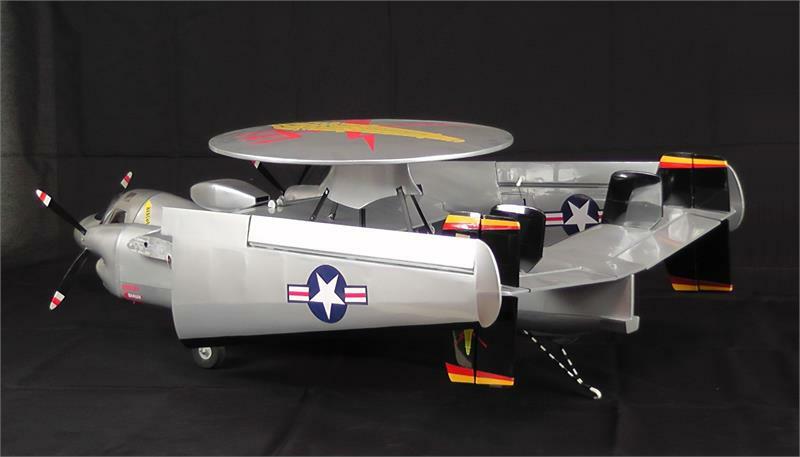 Recommended propellers (not included) 12x6 2-blade or 11x7 4-blade 2pcs. *If you set up 2 motors for counter rotate, you will need one reverse pitch prop. *The instruction video is free on our You Tube Channel. We recommend you watch this video before you decide to place your order. It is also available on DVD at an additional cost. We do NOT offer written instruction for this ARF.